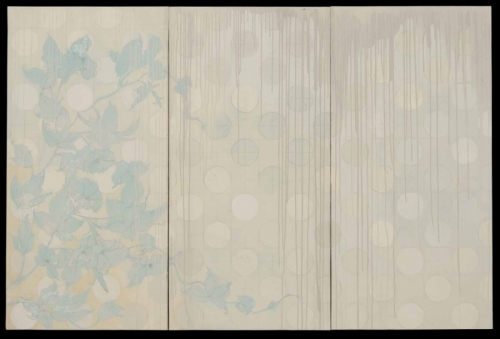 Acrylic on three birch panels 24 x 48 inches each. 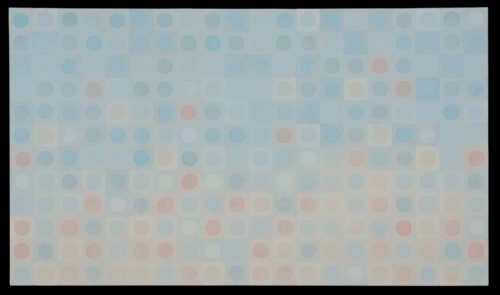 Pastel blues, turquoise, oranges in random circles on squares. Acrylic on Birch panel. 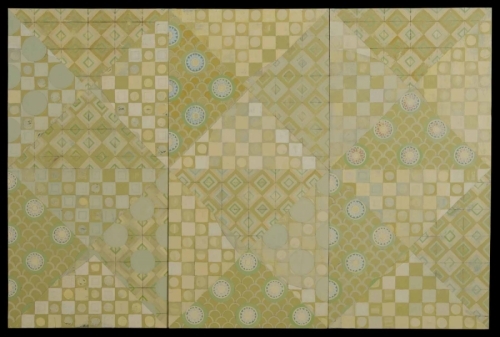 Three birch panels create this painting in Acrylics. Acrylic on wooden panel. 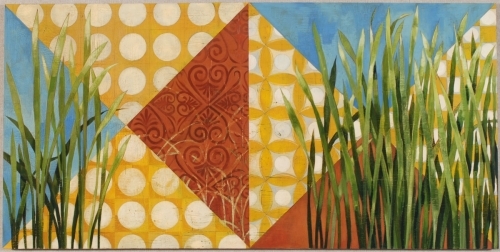 Green grass sways in front of a quilt inspired landscape pattern. Acrylic on 4 Birch panels. 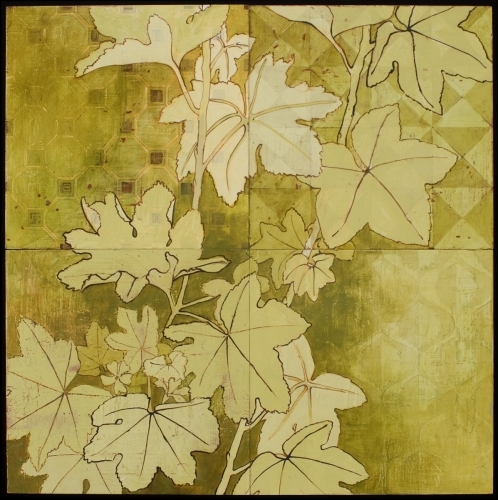 Giant Mallow leaves live in a garden made of Japanese inspired patterns.